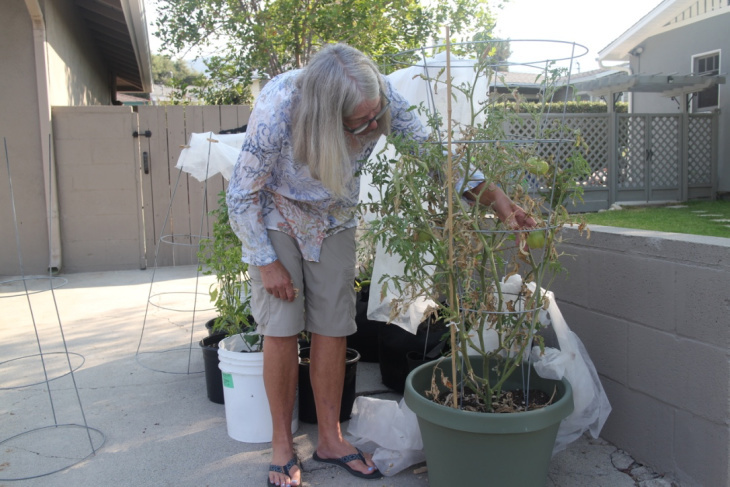 In Northridge, marijuana plants wilted. Bright orange impatiens were sunburned and bleached white in Monrovia. 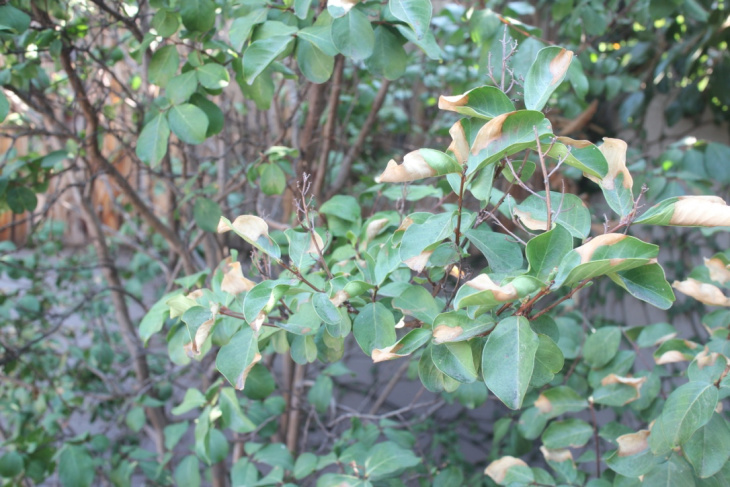 In Anaheim, the leaves on an avocado tree turned brown and died. Trees, flowers and even cacti are getting scorched by extreme heat across Southern California. Most of the recent damage happened after a heat wave broke temperature records across the region last month. "The trees are burning. Not from fire, but from a hot day!" he said. "I asked a gardener guy, I'm like, 'what's up with the trees?" He said, 'I'm pretty sure the sun just burned them.' Oh, is that all? The sun burned the trees? Is this unusual?" Frank McDonough works at the L.A. County Arboretum, where lots of trees had crispy and brown leaves. He says it's not uncommon for individual trees to get scorched, but the extent of the damage around Southern California is definitely unusual. He thinks the extended period of cool, overcast weather in late spring made things worse. The plants "weren't ready for it, and when we did get the heat, it just threw them for a loop," he said. Yes. My back yard is full of scorched camellias from the July inferno. It's like Descanso without the expert staff. Just like people, plants sweat to stay cool when it heats up (it's technically called transpiration). 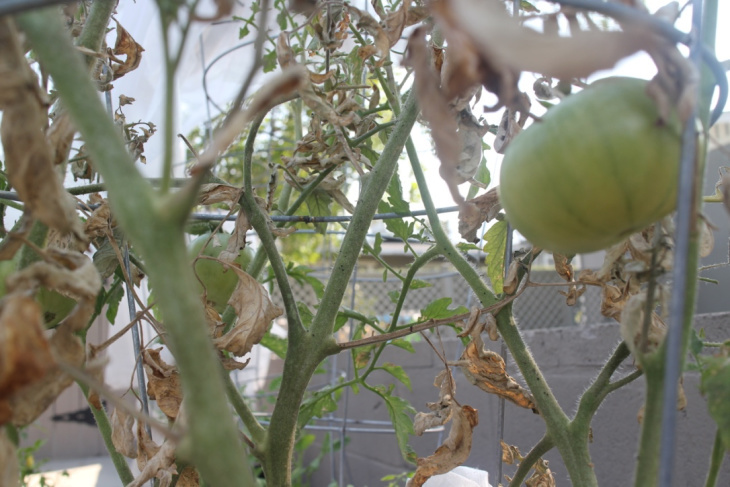 Alexandra Pivovaroff, a visiting assistant professor at Whittier College who studies the effect of extreme heat on plants, says this works great to cool leaves down — until plants don't have enough water to transpire. "If they don't have the water to support this sweating, that's when they're in big danger," she said. Don't prune the dead leaves off! McDonough has an additional tip: painting trunks and large branches white, to help the tree reflect heat. Climate scientists say summer in LA might be one big heat wave in the future. That's a scary thought, especially for plants. Unlike humans, they can't crank up the AC or turn on the sprinklers to cool off. That means we may need to plant different kinds of trees and plants in the future, especially because many of SoCal's ornamental plants simply aren't adapted to this climate. "There is a whole palate of trees that came with the people, because the nursery men got trees imported from the Midwest and they began selling them," said Greg McPherson, an urban forest researcher with the US Forest Service in Davis, told KPCC. That makes them especially vulnerable to extreme heat. Researchers with University of California Cooperative Extension are doing a 20-year long study to find out what to replace them with. Most of the species they're testing are from Australia, Arizona or New Mexico...because they're expecting L.A.'s climate to be a lot more desert-like in the future. Have you been noticing changes in your neighborhood linked to the heat? Tell us about it below.